Achieve real-time operational excellence and insights. Enable more efficient people and processes with Microsoft Dynamics 365. Expand your ERP with an industry-specific eCommerce solution for dealers, distributors and resellers. Get help identifying the Microsoft Dynamics 365 applications that best fit your needs when upgrading or migrating from Dynamics AX or other ERP solutions. 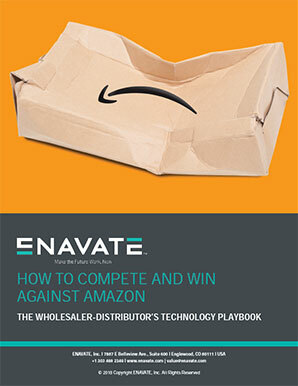 Implement Microsoft Dynamics 365 enhanced by ENAVATE's industry-specific applications for an integrated solution that addresses your wholesale distribution business’s needs. Stay on track with ongoing support, consultation and optimization recommendations from a team that has been supporting Microsoft solutions for more than two decades. Migrate, build and deploy a better solution on Microsoft Dynamics 365 and Microsoft Azure. Partner with us for full-cycle solution builds, integrations and upgrades.